We deliver. We ship. We stock your inventory. In short, we've got this. Your piece is designed and printed – now it needs to get into your customers’ hands. Hover over (or tap) the squares below to learn how we can deliver or ship straight to you, mail directly to your customers, or stock your inventory here so your customers can order your products online. 360 Press Solutions has become a reliable extension of our fast-paced homebuilding company, and I could not be happier about it. 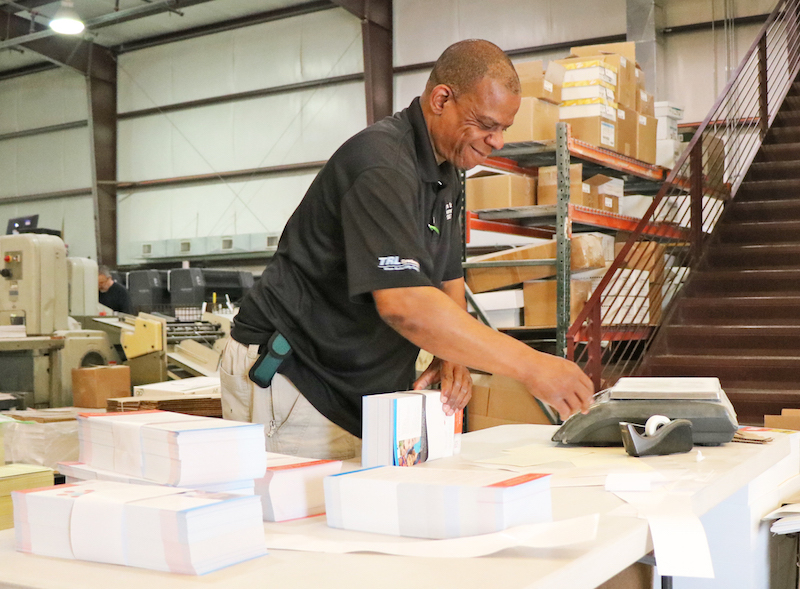 Rusty and the talented team at 360 have helped us prepare numerous print jobs. In a pinch, 360 has even boxed, labelled, and handled the delivery for me. I count on them when I need it most, and they don’t let me down.